Opportunity abounds in West Valley City. 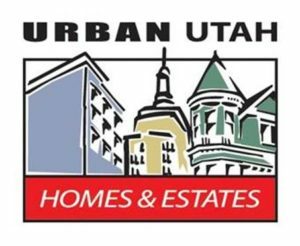 Sales prices are down throughout Salt Lake County, but particularly so in West Valley. From a peak of $193,000 in 2007, the median sales price for a home has slid 15%. Stats from the 4th quarter of 2009 show the average home selling for $165,000. This is not good news if you’re on the selling side of the transaction, but it should be a call to action for buyers in the low to moderate price range. With the extension of the federal tax credit for homebuyers, and with rates on 30 year mortages hovering around 5%, the picture couldn’t be rosier for buyers. As you would expect, sales numbers are up sharply, 75% from their low point in the first quarter of this year. Inventory, however, remains healthy. Currently there are 153 homes available in the $100,000 to $150,000 price range and 240 homes in the $150,000 to $200,ooo range. With 390 homes listed in the last quarter and 228 sales, the absorption rate remains high at 9.5 months. With the tax credit extended through April and now broadened to include move-up homewners who’ve been in their home at least years, sales in this price range should hold steady or increase. Whether the price slides continue will probably depend on the number of distressed properties hitting the market.